V Pristine Russia exhibition will be held from 26 January till 25 February in the Central House of Artists (Moscow, Russia). The exhibition is a part of the Pristine Russia Festival dedicated to Russian nature and wild life. This year Moscow citizens will have possibility to see a special guest of the Festival – Wildlife Photographer of the Year Exhibition. 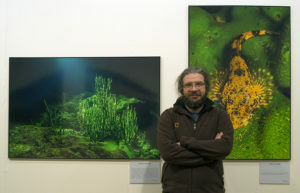 Among hundreds of other works visitors may found there 3 photos by Viktor Lyagushkin from Baikal Lake. This entry was posted in exhibitions, Uncategorized and tagged Baikal, exhibitions by SnowKitty. Bookmark the permalink.